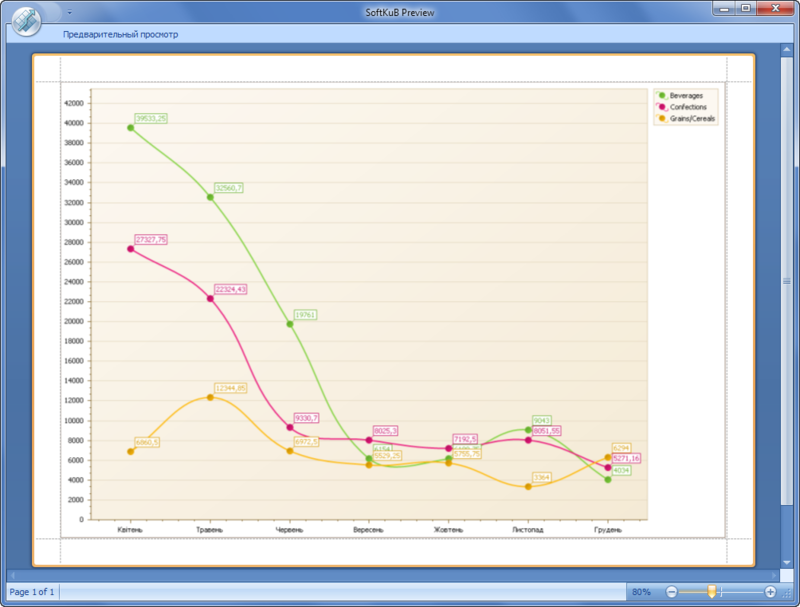 Desktop OLAP system intended for analyzing data in real-time with building charts and diagrams on the fly. 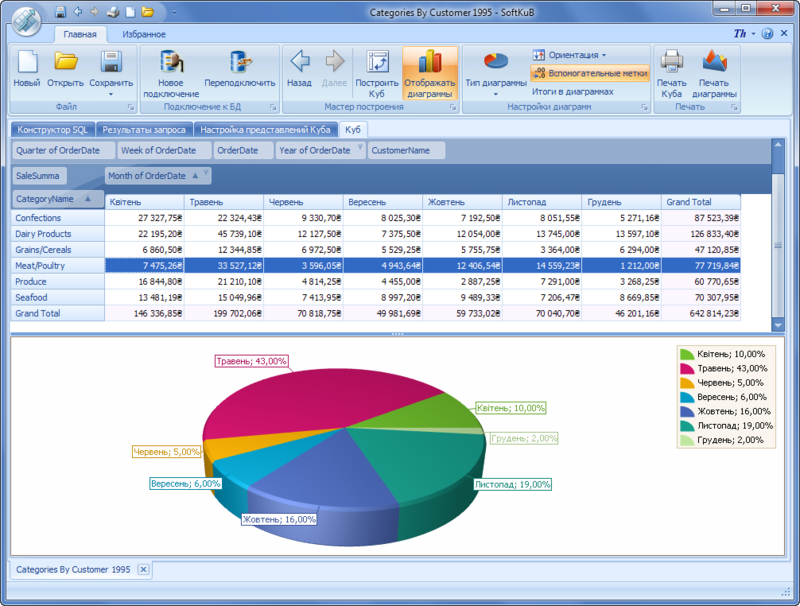 SoftKub convert database information into compact and summarized visual reports, thus addressing real-time business analysis needs. 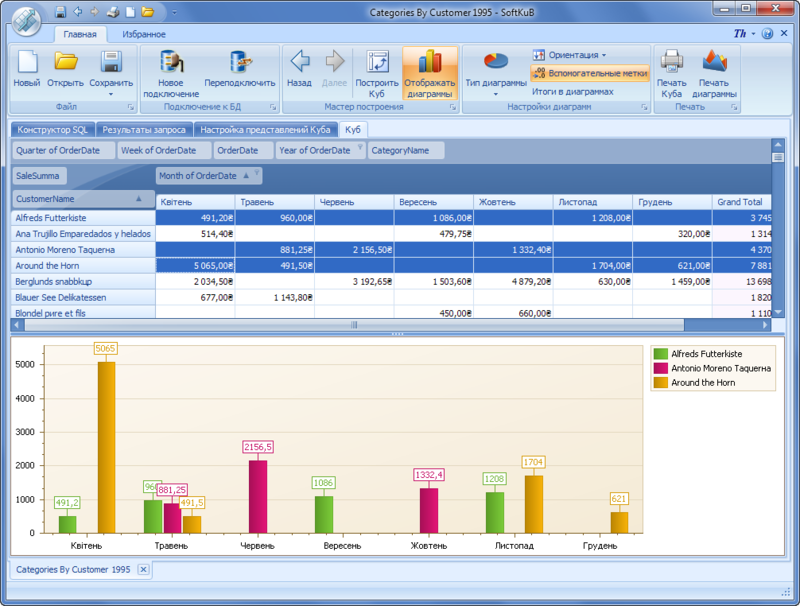 Users can easily change a report's layout visually in order to examine data from different/multiple perspectives. 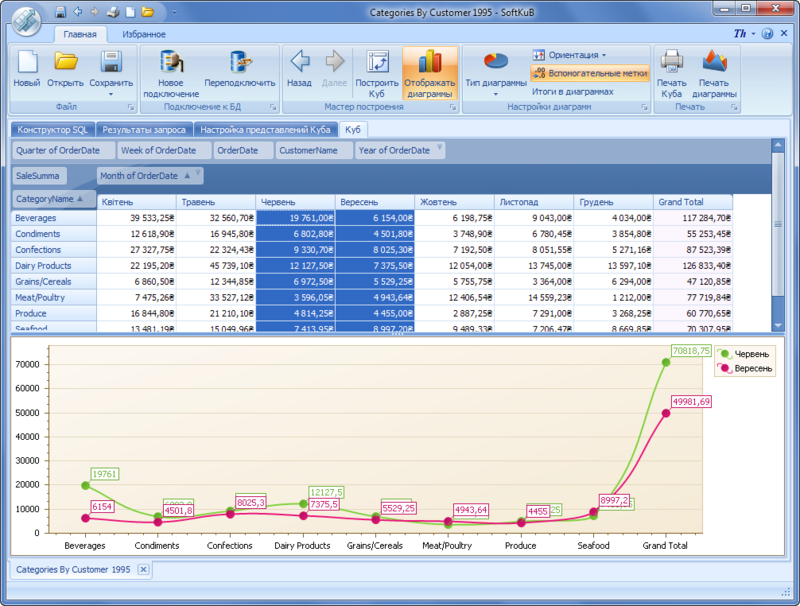 "See selected" technology allows building diagrams immediately after selection necessary data in consolidated table. 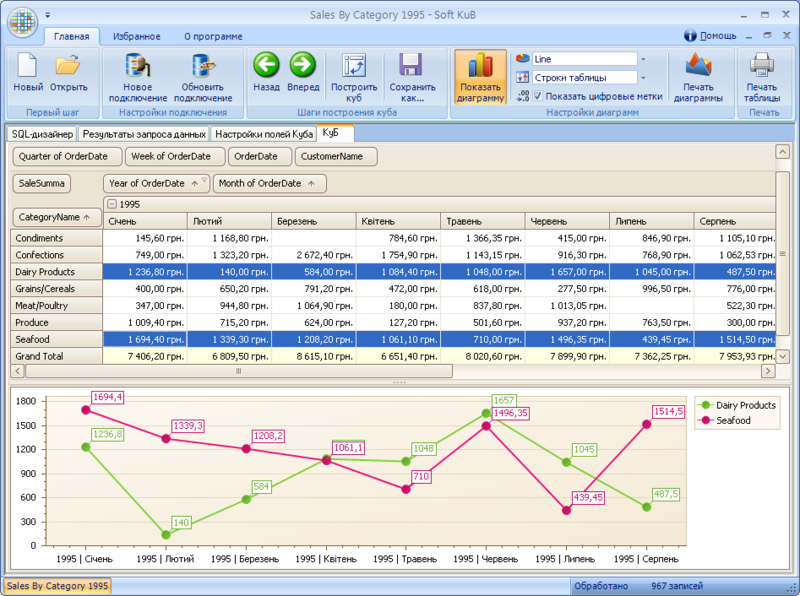 SoftKuB use pivot table for presentation OLAP Cube. 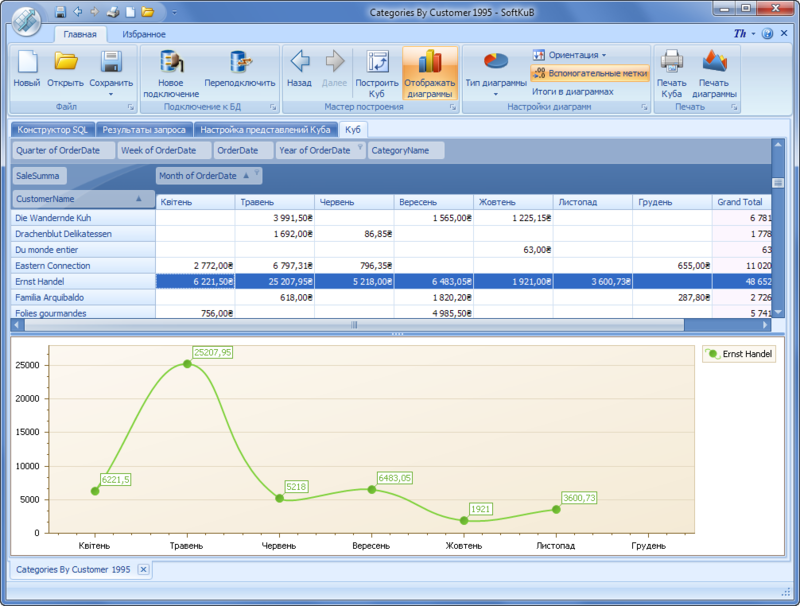 It’s based on Pivot Grid component from Developer Express, and demonstrates extraordinary performance. 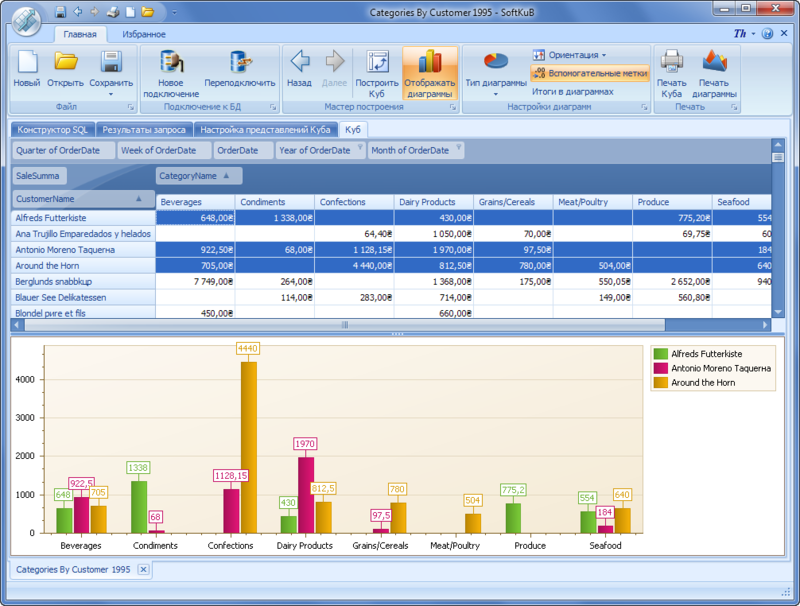 Simply select desired data in Pivot table and Chart will build automatically. This method as named as “See Selected” technology. 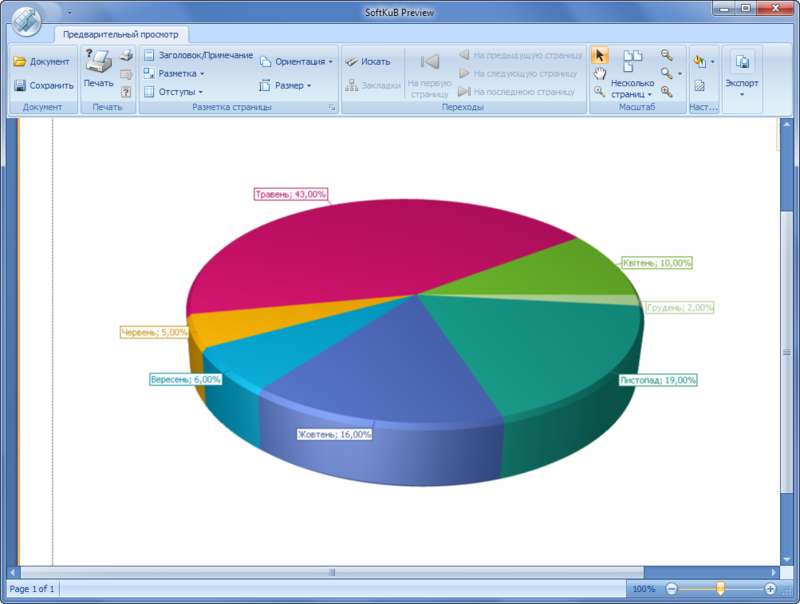 Numerous chart types may be used for the best presentation and understanding results. 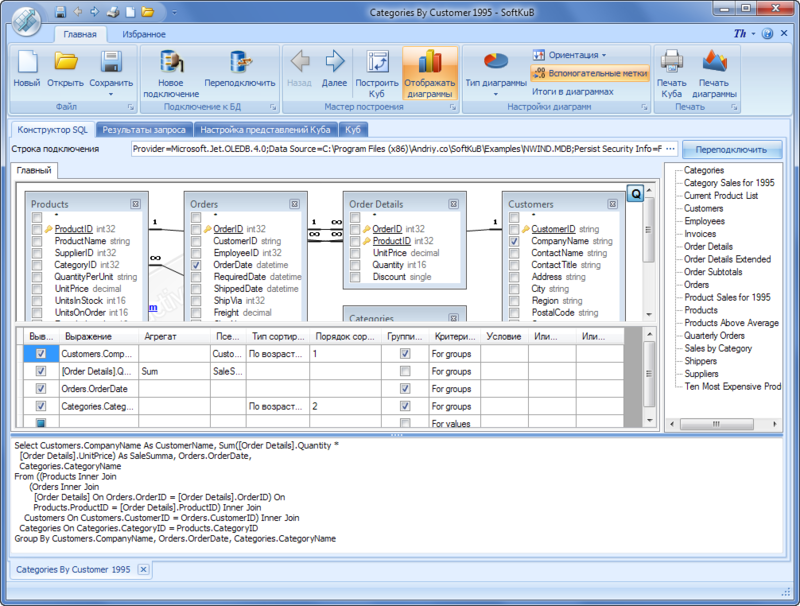 Field values are automatically arranged into a tree structure with expandable parents. 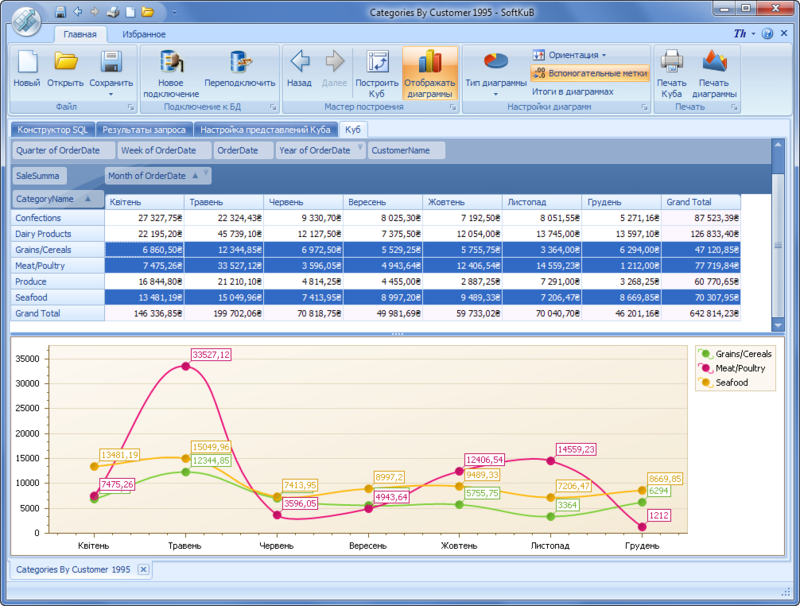 Users are free to expand and collapse child groups to see more summarized or raw reports. 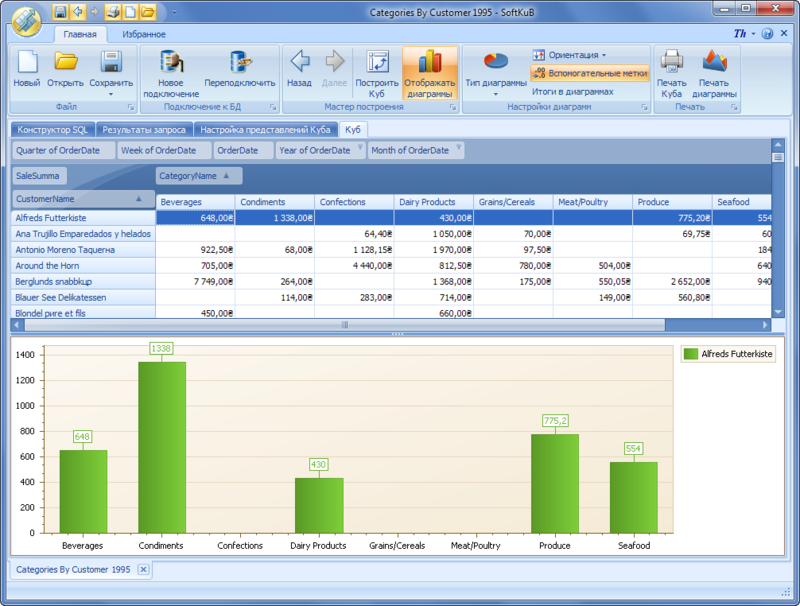 SoftKuB have ability to display grand totals for each row and column automatically. Comprehensive data analysis often requires a two-way approach to data navigation in that you may need to find data by a specific value or find a value by its data. This means that sometimes you need the first product to be the one with the most or least sales, rather than the one which starts with an A or Z. 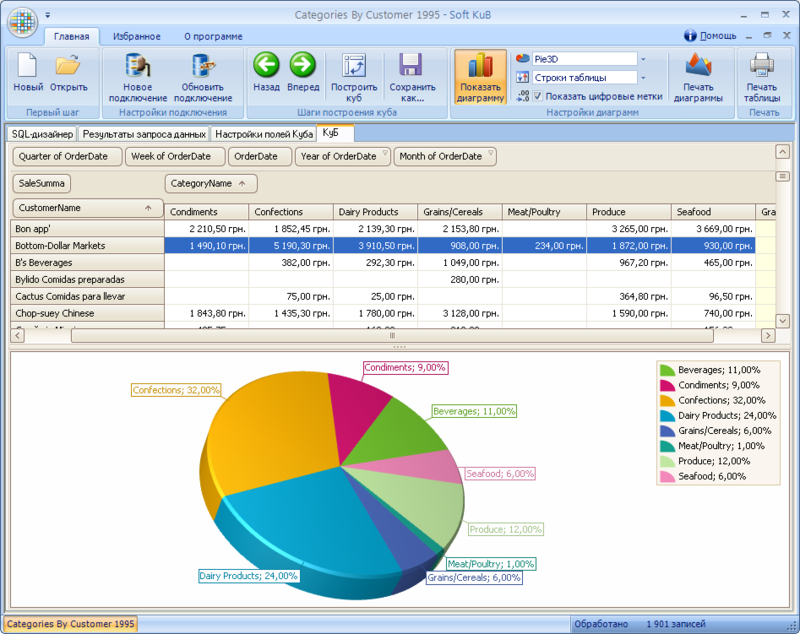 With the SoftKuB's built-in visual filtering option, users can manipulate reports on the fly using an easy to understand and familiar visual metaphor. 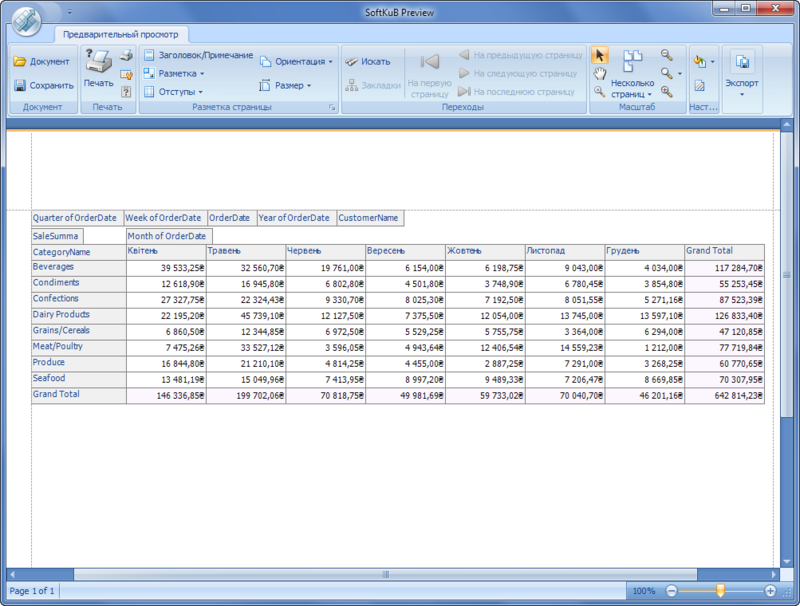 You can take a look at the records that were used to calculate cell values. Users may not want to browse through each and every unique respondent age value and instead want to see the ages of respondents in intervals such as 21-30, 31-40, etc. Instead of viewing sales by each unique date, they may want to view the sales against months. The SoftKuB is NOT just about on-screen data analysis. 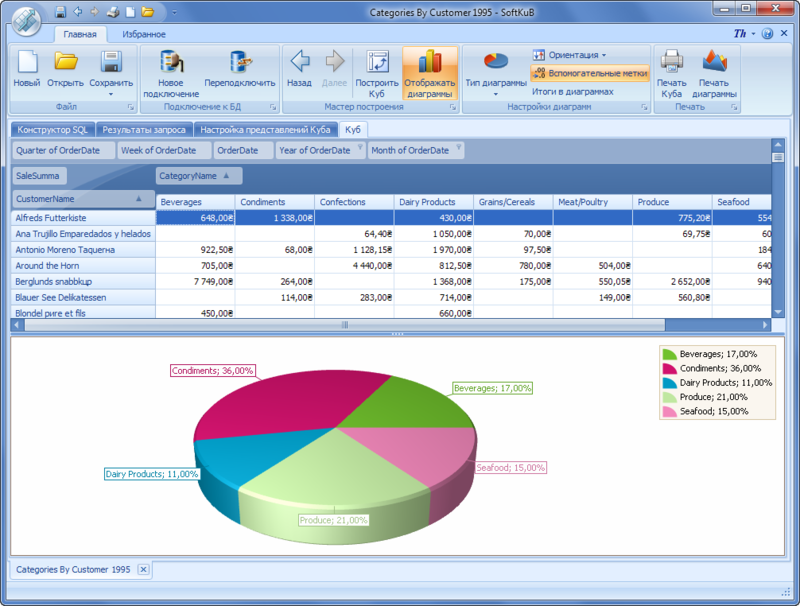 With it, you can export data to numerous formats and render its contents to paper just like a traditional WYSIWYG report.